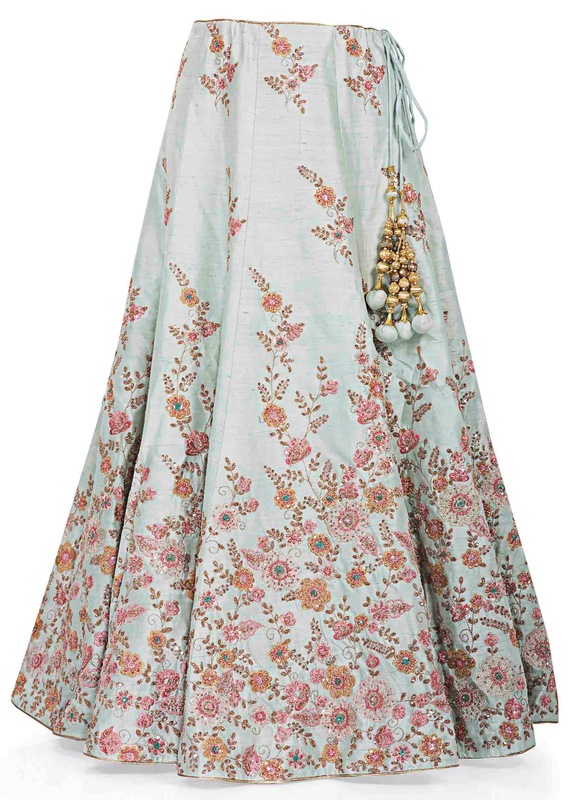 The classic charm of floral motifs done up in resham embroidery and sequins makes this ensemble an instant winner. 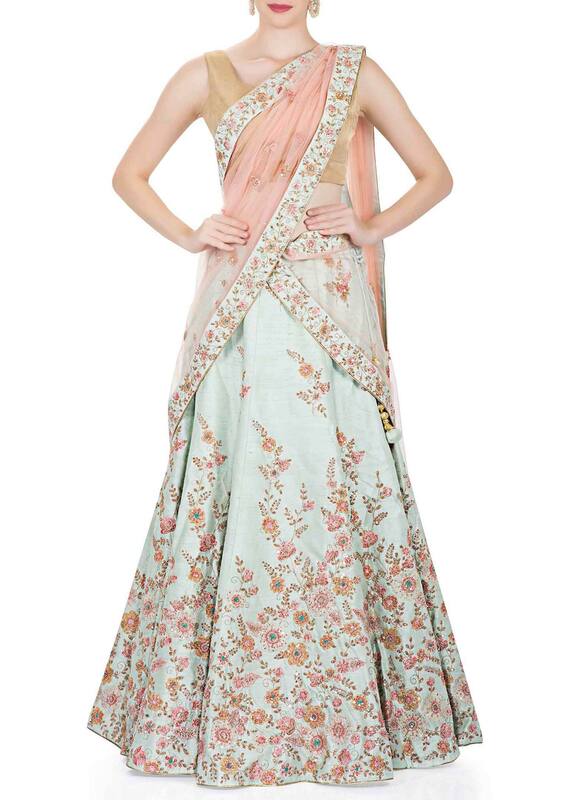 The blue silk lehenga and unstitched blouse display exquisite floral patterns. 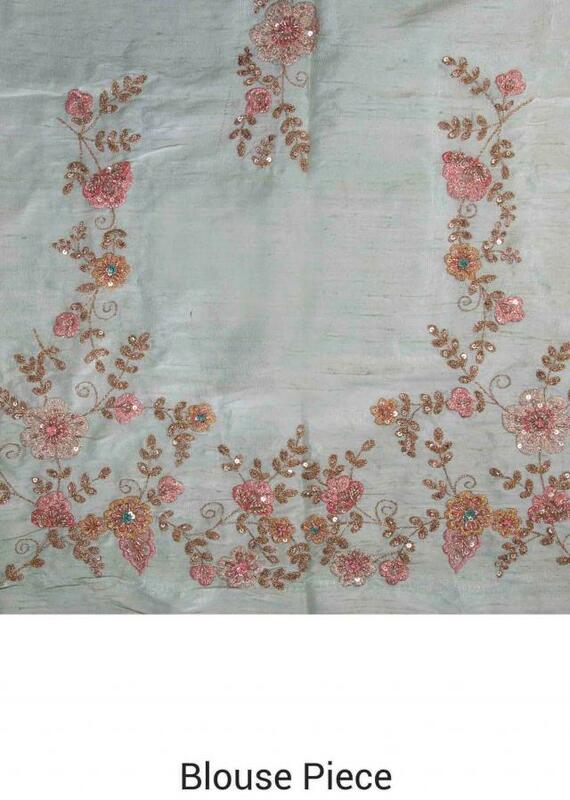 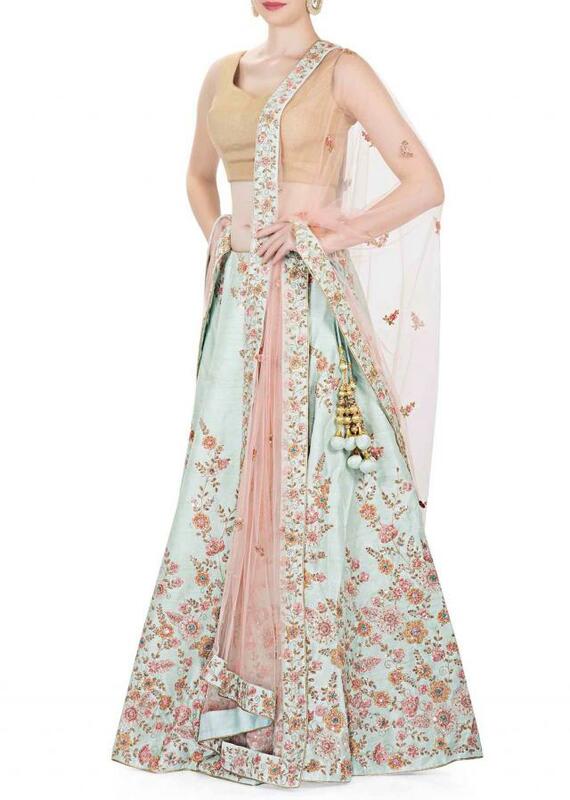 The peach net dupatta too comes with an embellished border and embroidered butti.